First of all, no, this is not about the latest Disney animated film. I’ve heard the song a kajillion times (in countless renditions) by now, but I have yet to see Frozen. However, people keep referencing “Let it go” everywhere I go… so there it is — blog title! Let it go. Those three words do come in handy. A lot. They were particularly appropriate last weekend, when I decided spontaneously to try sumi-e. On a whim, I decided to sign up for a six-hour class on the traditional Japanese style ink wash painting to see if I could perhaps apply some aspects of the technique to my ceramics work. Saturday morning rolled around and I found myself at a table, fighting with large pieces of rice paper. Probably not the best way to start an activity centered around calm concentration. We were going to be painting flowers. Breath. The knowledgable instructor kindly gave us some background information, since a couple of us had zero experience with it. 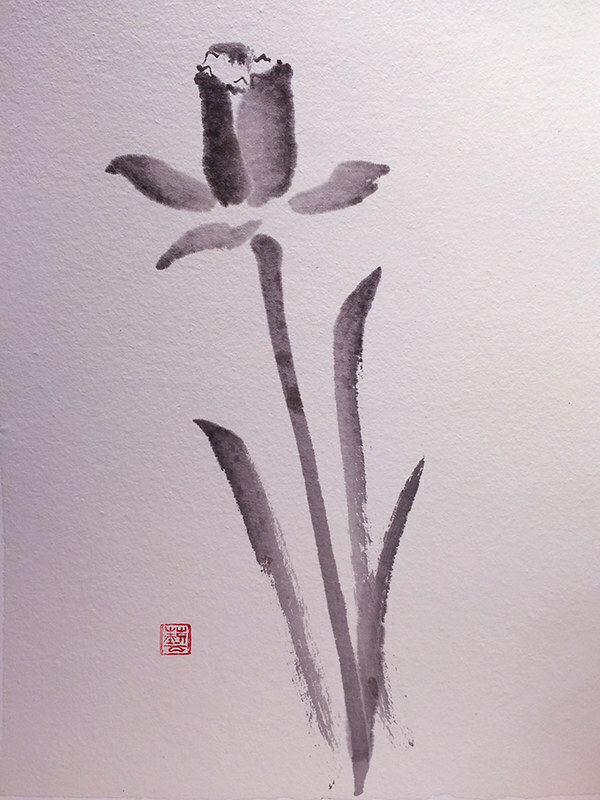 Ink wash painting originated in China. 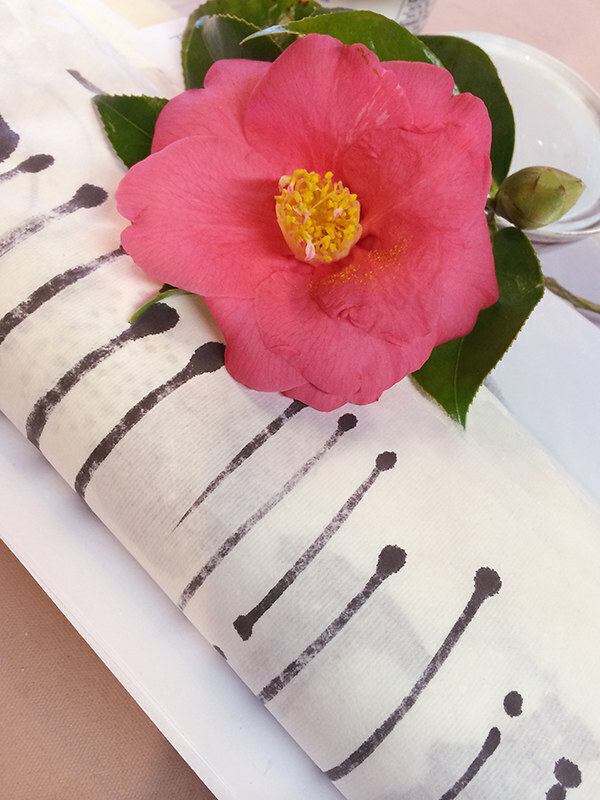 Black ink is diluted to different degrees to produce varying tonalities on a very absorbent type of paper, called “xuan” or “washi” paper. The technique involves the use of spontaneous brush strokes, lines and dots, to convey a subject. The goal of sumi-e is to capture the essence of something rather than to produce an exact likeness. Stated another way, the subject is expressed using as few strokes as possible. 1) It’s a lot harder than it looks. 2) I can’t paint tulips for beans. 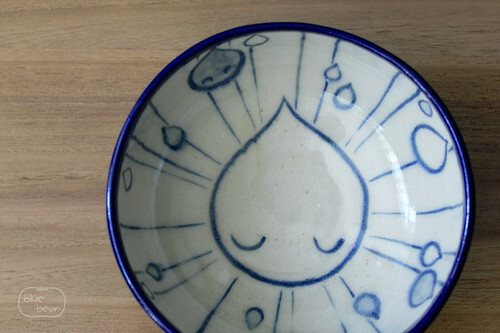 Although ink wash style painting has been applied to traditional Chinese blue and white ceramics, the style of “qinghua” painting I learned is much more detailed, and therefore, precise. Having said that, I have adapted the technique to my own style, choosing to use much fewer strokes and much cuter subject matters. Nevertheless, I plan my painting. While I don’t think I will be using sumi-e on my pots just yet, this exercise might just make me loosen up a bit! Since it has been raining so much these past few days and there is no sign of it stopping anytime soon, I thought this would be an apt time to introduce The Raindrop. 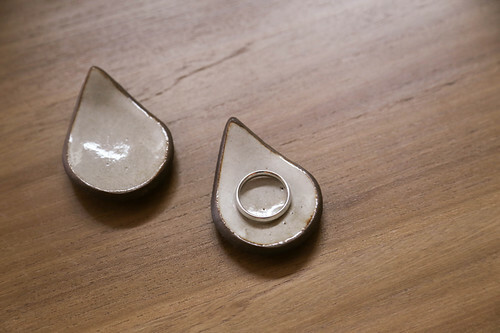 The raindrop motif is a recurring one for me. I started playing around with it when my husband and I first decided to move back to North America after a couple of years in Shanghai, China. Specifically, we decided to move to Seattle, known commonly as the “rainy city” – so I decided to make the most of it and have some fun with raindrops. Once I started playing with the shape, I found that the curves were fun to paint and afforded a great way to practice my fine brush control. 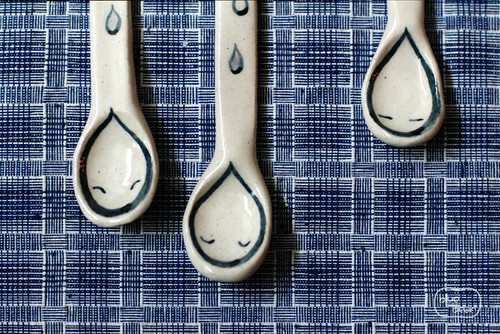 I also enjoy putting expressive faces on some of the raindrops to give them a touch of whimsy and mischief. On particularly rainy days, you can find me curling up with a book in one hand and my little raindrop mug full of hot tea in the other.